Walsh and McCutcheon may not have it all their own way at Bandon! A busy weekend looks like unfolding this weekend between the flags with four scheduled meetings at Tinahely, Bandon, Lemonfield and The Pigeons. The Open Lightweights have drawn a respectable entry level given our proximity to the Cheltenham Festival and possible participation in the Foxhunters Chase. 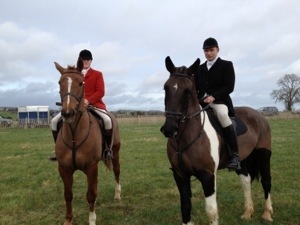 The Durkan Family sponsor the Open at Tinahely where the Bray Hunt stage their spring fixture. It is noteworthy that numerous horses hold double and treble entries on the day so just where they actually race is anyones guess. Vincent Halley has Boxing Along entered here and the previous course winner might try to repeat it here under Paul Power. The Witness Box 10 year old ran well at Bennettsbridge last weekend , failing to Davy From Milan having held every chance of winning. The field here also includes Irene Walsh and Eugene O’Sullivans Pocket Reader who unseated at Knockanard a few weeks back when holding every chance. These could opt for the Carbery Foxhound meeting at Bandon , but more of that later. The Tinahely meeting will likely see Aine Dagg try to win from the front on the 12 year old River Call so Power and Boxing Along would not want to let them get too far ahead as the are capable of staying on stoutly. Sam Curling has Klassy entered here and he could make his presence felt as could John Paul Brennans wild card entry, Need To Know. The Bandon Open , sponsored by Fernhill House and Gardens might well be a battle between the ladies with Irene Walsh on Pocket Reader and Evanna McCutcheon on Long Strand. The might not however have it to themselves as some nice progressive younger horses including Anseanachai Cliste, Buster Dan Dan and Dallas Cloud are entered. If you dont discount the veterans Powerstation and Freneys Well this could be the race of the weekend. The Limerick Hunt meeting at Lemonfield has more than one or two of the previously mentioned horses, with my my guess that Michael Hourigans Awkward Moment could make a bold showing here .However Freneys Well would be my choice to give the famous green and gold McManus a winning day out as the 14 year old Primitive Rising gelding is no back number. Our final Open Lightweight sees the biggest field of the day with 17 entries for the Connaught Gold sponsored event. The Last Derby could make a quick return to action for David Christie here with One Cool Clarkson for Neil McKnight, William Ross’s Russian Regent and John O’Neills Sports Line all in with a real chance if declared. For my money Russian Regent , if fit ,could make them all race here. 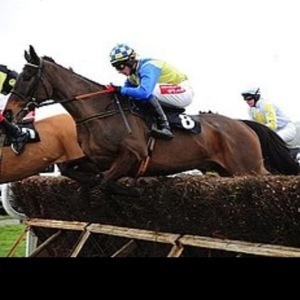 The Moscow Society gelding is very experienced in the point to point fields and has some track form as well. As always p2p.ie can keep you informed on the day, so enjoy the racing where ever you might be! Keep an eye on these and see if they can deliver. I know I know its all talk about Cheltenham , with previews, reviews, rewinds, tips and thoughts just about everywhere you go. So for this saunter through some eyecatchers will not mention the C word again, at least not until tomorrow!! Pat Fahy has a nice yard of younger horses at Leighlinbridge Co Carlow and his Kris Kin mare Spirit of Afection ran well at Gowran Park on Red Mills day chasing home John Queally’s Gaillimh A Chrioi in the bumper. Fahy’s 5 year old mare owned and bred by Ann Fortune should be able to build on this highly promising debut under Shane Shortall to win at the next time of asking. 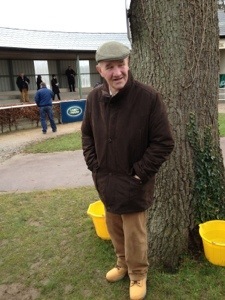 Brian O ‘Connell rides out at Philip Rothwells Tinahely, Co Wicklow yard on a regular basis. With a pretty good hands on knowledge of the stables runners they are a combination worth following. Their 8 year old gelding All Honours ran promisingly at Punchestown on the 19th finishing fifth behind Daniel Howards Duty Dance to be beaten less than 10 lengths at 20/1. A winner at Tramore in April 2013, the City Honours horse looks more than capable of adding to this for his owner Christopher Morrissey. At the same meeting Tom Foley popped his Astarabad gelding Playing over hurdles with the 11 year old finishing third under Ger Fox. Playing has been in great form over fences this season and he could well exploit his mark over hurdles and even repeat his displays over fences before long. Foley has been in rare good form this season and the Aughabeg based Carlow man should be able to find a winning chance for the Patrick Delaney owned French bred. Colin Bowe has been a little quiet of late but the Kiltealy Co Wexford based trainer must back in the winners circle soon given the talent he has in the yard. The Tom Cullen owned and bred mare Annamult may never win a Grade 1 race, but the 6 year old Beneficial mare is capable of picking up a race inside the rails. This former point to point winner was sixth at Thurles in a handicap hurdle under Mikey Fogarty at 33/1 and is capable of doing better. The bumper at Thurles on the same day saw the Dessie Hughes trained Morney Wing finish fourth under JJ King. Fancied on the day the Antonius Pius 5 year old may just have been a little disappointing here but that shouldnt put you off in future. A fine second on his debut over hurdles in January, the winner of the bumper On Impulse is most likely a pretty good sort and Morney Wing might just have been tapped for toe on the day. As always, these horses should win so just keep an eye on them and see if they can deliver! O’Sullivan’s double highlights a weekend of notable performances. It was nice to see a full fixture list over the weekend in the point to point fields. With the Kilkenny Foxhound meeting being graced with my presence at Bennettsbridge a quick scan of the results and chat throws up some noteworthy performances. None more so than the Duhallow Foxhound meeting at Kildorrery where Eoin O’Sullivan recorded the first double of his career. The 17 year old son of Co Cork based trainer Eugene won on Scorpioncer for his father and Tomas Singleton in the 5 year old geldings maiden , while the Open Lightweight saw O’Sullivan win on The Hollinwell. With Mossey Joe not declared, Eoin took the race on the Classic Cliche horse, owned and trained by his father Eugene. Where will this young man turn up next? Cheltenham? No matter where it is he season has already been memorable! trained Mezendore, with the son of Bach winning well under a fine ride by Mikey O’Connor in the Winners contest. This horse has more to offer and should progress from here. The East Clare meeting at Killaloe saw the Mares Open fall to the veteran mare Isourbell for Co Cork based Sean Aherne. Taking on her customary front running role under Shiela Ahern the 12 year old Executive Perk mare saw off her younger rivals. She is a remarkably tough, genuine and consistent mare and both Sean and Shiela must be proud of her. On the same card Donnchadh Doyle sent Fruits of Dreams on the long trip from his Co Wexford base and the 6 year old mare won under Rob James. The debutante daughter of Fruits of Love might well be sold by her current owner Raymond Murphy. While up north the Tynan and Armagh meeting at Farmaclaffley saw Carsonstown Boy win the Open Lightweight for the McBratney/ McParlan partnership. This son of Golden Tornado has hit a nice stream of form and could be one to stay on the right side of now. Another horse that won here that might step up in class very soon is Kerrib Castle. This Winged Love gelding took the Confined Winners under owner/rider Michael McConville in the style of an improving horse. Trained in Co Armagh by Michaels father Stephen McConville he looks an interesting sort. The final race on this card saw Raymond Cody an 18 year old from Co Kilkenny ride his very first winner when taking the older geldings maiden on Ballycotin for Eoin Doyle. Cody is working full time at Doyles Mooncoin yard and will try a winners contest on the horse next. Not a bad weekend at all and we are not even into March yet! 27th Thurles, 28th Dundalk(e), 1st Navan, 2nd Leopardstown. 2nd Bray(H), Carbery(F), Limerick(H), South Westmeath(H). Codd and O’Connor double up as Davy takes the Open. The point to point bandwagon in the south east pulled into Co Kilkenny for the Kilkenny Foxhound meeting at Kilbline, Bennettsbridge today.Racing on land with the permission of the Williams family, the track has five fences reasonably tightly placed on each circuit putting the emphasis on quick and efficient jumping. With the ground yielding to soft on the course the 92 entries saw a 56% declaration or 51 horses on the six race card. With the “big guns” in the jockey world all booked to ride at the course it looked likely that we would have a shoot out or two between Jamie Codd, Derek O’Connor and Barry O’Neill. They shared five of the six races with only Eddie Keating managing to raise a flag for the other jockeys and that was in the confined maiden for novice riders which they were not qualified to ride in in any case! Ballylinch Stud sponsored the Open Lightweight with 7 horses declared to face the starter. This was a pretty competitive affair even in the betting ring as Davy From Milan, King Troy and Boxing Along were all on offer in and around the 7/4 to 2/1 mark. After Gothic Love set the early pace, Paul Power took charge of the race up front on Boxing Along for Vincent Halley and tried to make it home in front for the Co Waterford partnership. Mooncoin , Co Kilkenny based trainer Eoin Doyle had booked Barry O’Neill for the ride on Davy From Milan and they raced in third place most of the way behind the leading pair. Jumping better than he did the last day at Affane the 7 year old Milan gelding struck the front about three fences from home and stayed on stoutly to beat the eye-catching run of Bee Fallon in second place with Boxing Along staying on for third place. This was the horses fourth win from seven outings between the flags and he seems to be going in the right direction for his Co Kilkenny trainer and his Carrick On Suir , Co Tipperary based owner Davy Phelan. Some well known racing silks were in evidence at the track with the opening BBA Ireland 4 Year Old Maiden going to the well supported 6/4 favourite Fact File in the colours of Gigginstown House Stud. Racing in the hands of Jamie Codd the 4 year old Catcher In The Rye horse set the pace and jumping well he saw off the Michael Goff trained Red Devil Star and the Sean Doyle horse Court Dismissed by an easy 3 lengths with 6 lengths back to third. This was a highly impressive debut over the two and a half mile trip and it would be no surprise to see the him hit the track next in a bumper for the Ryanair supremo. Codd must have been happy with his start, but the the Co Wexford based man hit the floor in the next two races when falling on Star Rise and Born In Killeen. 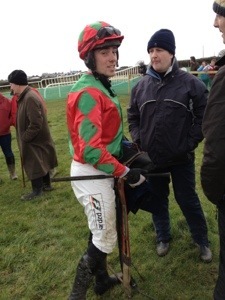 With his Open Lightweight ride Ferris Bueller not really having a good day out Codd waited until the Connollys Red Mills 6 Year Old Gelding to strike again a record his double on board Kingscourt Native. Trained in Co Kildare by Denis Cullen for one of his good owners Kieron Gammell, Kingscourt Native, a 6 year old son of Kings Theatre won at 5/4 favourite. Jumping well for Codd, they trailed the longtime leader Tuskar Island most of the way as James O’Sullivan tried lead steal the race. Codd and Kingscourt Native were well up to the task however and they reeled them in turning towards the last fence and won very snugly. Derek O’Connor travelled to the south east in search of winners having been up north over the weekend and the Galway man didn’t leave empty handed scoring a nice double. The 5 year old geldings saw only 8 horses declared from the original entry of 18 for the DBS @ Newbury 21st March 2014 sponsored race. Barry Connell’s silks were worn here by Derek O’Connor on the Pat Doyle trained Deputy’s Pass. This 5 year old son of Scorpion , third at Lemonfield in October went off the 5/4 on favourite and just failed to catch the front running Warrantor for Jason McKeown and owner trainer Adrian Keatley. With McKeown keeping his horse in front, O’Connor was five lengths adrift at the second last and challenging the leader after the last failed by half a length. Following a lengthy enough stewards enquiry the placings were reversed with O’Connor, Connell and Doyle being awarded the race. Warrantor is a horse to put into the notebook as well with Keatley unlucky not to saddle his first winner with the Turtle Island gelding. O ‘Connors double came in the mares maiden for 5 and 6 year olds sponsored by Tattersalls Ireland and Rossenara Stud. Riding All Eyes On Me for Shillelagh, Co Wicklow based trainer Sean Osborne, the 5 year old Catcher In The Rye mare came through in an incident strewn race to lead after the last to win. The well supported favourite Isabellesprincess slipped up when a fence clear with a circuit to go, Toms Girl fell at the last when in front in addition to a couple more fallers opening the door for O’Connors power packed finish. Home bred by Osborne and owned by his father Seamus, the mare will probably go for a winners race next according to connections. The Osborne’s breed to sell and they inevitably race the fillies that remain. With 8 horses in training and many of them family owned the trick is to have some paying guests as well! Racing concluded with the Ballyhane Stud sponsored confined maiden for novice riders. Clonroche , Co Wexford based restricted licence holder Roy Tector has made a habit of winning this race and took it for the third time over the years this time with Clearly Capable. This home bred 5 year old son of Bienamado was positively ridden from the front by Eddie Keating to justify favouritism. Tector was quick to praise the young, Gusserane, New Ross based Keating as not only did he ride the horse, but he had done all the work on him for the past three weeks due to a hunting injury that Tector sustained. Falling when out hunting with the Wexford Foxhounds, Tector cracked a rib with his mobile phone in his breast pocket! None the worse for it now the horse, well named , Clearly Capable , could be sold to race in Britain as previous horses including Bobcatbilly have from Tector’s yard. With honours shared , the crowd maybe a little light on the ground due to the hurling match in Nowlan Park, backed a nice few favourites to justify the trip. McCabe, Moran and Curran are needed in todays racing world! With the entire focus of the racing world nearly totally centred on Cheltenham and our star horses and trainers Thurles yesterday saw a couple of noteworthy winners. Moses McCabe has a small mixed yard in South West Wexford which he has kept going through good and bad days. 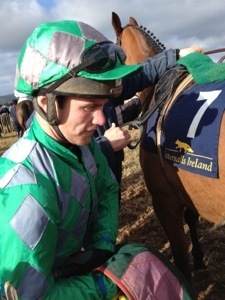 McCabe is a fairly handy man and he picked up a nice winner with Davy Russell and Asitsohappens. This 6 year old son of Rudimentary has been ultra consistent and he rallied well under Russell to justify favouritism. McCabe will place this horse well over the coming months for the Each Way Syndicate. Robbie Moran has been based in Thurles for a number of years now and the Wexford man very much had a “home” win when steering home Fethard Player for Willie Treacy. The 7 year old Kings Theatre won his maiden hurdle at 4/1 well having run prominently here three weeks ago. Moran didn’t have to travel far for this win but he remains one of the most stylish jockeys around and deserves every chance that comes his way. Alice Curran made the trip from Co Waterford hopeful I would suppose that her 9 year old mare Lisrose would return to form having disappointed at Fairyhouse last time out. Ridden here by Jody McGarvey the daughter of Beneficial managed to win her first chase to add to her hurdle win and 3 previous point to point successes. Being returned at 16/1 McGarvey did well to win as the mare wandered badly after the last, but if she stays in this form she can win again. While David Kelly will be hopeful that his bumper winner On Impulse can add to his win here under P A King at 2/1 favourite. This 5 year old son of Flemensfirth does look like an interesting recruit and may get his trainers name in lights with wins like this. With Oliver Mc Kiernan and Patrick Mangan teaming up with the 6 year old homebred Milan horse Another Challenge to win at 6/1 and Robert Tyner and Philip Enright taking the handicap chase on the 7 year old Oscar horse Knock Beauty at 12/1 all giving them a day in the sun. When you throw in the mandatory win for Mullins and Walsh racing at Thurles continues to meet a real need. So well done to all of these winners, especially those from the smaller yards as without them WP Mullins, Ruby Walsh , Gigginstown et al would have no competition. McCabe, Moran and Curran are a vital ingredient to the continuation of a strong racing industry and long may they continue to prosper as they are needed in todays racing world! Gordon and Liz Doyle score a double as WP and Gigginstown record their own at Clonmel! Life never ceases to surprise me especially where horses are concerned and my ability to ignore not only what I see in front of me and useful information given to me! 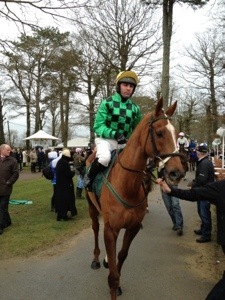 On Thyestes Day at Gowran Park I saw a little horse run well in a maiden hurdle. Named Claire Pet, I saw it come home fifth at 66/1 and put a note beside the 7 year old son of Pierre as one to watch. Trained by Gordon Doyle at Knockmullen House Stud on the outskirts of New Ross, this young man has started to knock out a few winners this season following the installation of a new gallop and a reanalysis of his racing programme. Now pushing just a little harder, his horses are fitter and running better. But back to my lesson! Not only that, I met Mary Doyle , the trainers mother and a Hickey from the legendary Garryrichard Stud , after the race at Gowran Park and she indicated that their jockey that day Michael Darcy was very hopeful afterwards that the horse was capable of winning! Another note was taken, I hadn’t been exactly told by the horse itself, but by sources pretty damn close to it! So what did I do at Clonmel yesterday, I didnt miss it, I actually ignored it! With Michael Darcy getting the leg up on Claire Pet, they faced 8 rivals and two and a half miles on pretty heavy ground at the Co Tipperary track. Taking up closer order 3 hurdles out Darcy hit the front before the last to win. Returned at 11/2, you see it wasn’t just me that had spotted him in running, he was winning for the first time for his owner breeders Peter and Mona Aspel. These Pierre horses seem to progress with time and age , the Doyles stand the son of Sadler’s Wells at their stud with some real success. These were not the only Doyle’s to win at Clonmel as Liz Doyle, no relation I believe, struck again when Snowell won the amateur riders handicap hurdle. The Crossabeg , Co Wexford based trainer gave Co Cork based JJ Burke the instructions here and they justified favouritism at 9/2. The Well Chosen 7 year old took it up 2 hurdles from the finish to record his first win for owner breeder Fionan O’Driscoll. The promise he had shown at Fairyhouse in January was built upon and the support for him in the betting ring was well founded. and the Co Carlow based maestro took the first two races on Mercedes Benz day at Powerstown Park. The rescheduled Grade 3 Mercedes Benz Novice Hurdle saw Don Poli win in the hands of Bryan Cooper for Gigginstown House Stud over 3 miles. This 5 year old Poliglote a winner at 9/2 was winning his second race over hurdles and could have a future over fences. Some of the more fancied horses didn’t perform here so maybe the form could be slightly suspect but the Jim Dreaper trained Goonyella was an eyecatching second at 16/1. Some of the bigger staying chases could be within his compass this season. The father and son partnership of WP and PW Mullins took the opening conditions hurdle with Perfect Gentleman at 5/2, with the Jackie Mullins owned 9 year old son of Kings Theatre recording his third win. Rubi Light who ran here seems to be a light of former days for the Hennessy family so where he goes next might be unclear. The Sweeney family from Castlelyons, Co Cork made the trip to the track a profitable one when Daliyan, a Red Ransom 5 year old easily won in the hands of Colman Sweeney. The concluding bumper of the slightly truncated six race card saw Nina Carberry and Gordon Elliott win with the 7/2 chance Drunken Counsel. This Scorpion 5 year old carried the colours of Gigginstown House Stud to give them a double on the day. Bred by Waterford City based dentist Con O’Keeffe from his mare Kilbarry Demon this horse improved on his New Years Day third to win comfortably. It was really good to see Clonmel stage this meeting, even better to see two Wexford trainers have a Doyle double, as two of the sports ginormous forces , WP Mullins and Gigginstown House Stud recorded their own! Mossey Joe will have to win pulling the horsebox behind him to justify his Aintree weight! Between the flags Its a busy weekend approaching with options in the north , south , east and west of the country. An Open Lightweight race is offered on every card throughout the country with the number of entries a little light on the ground. That does however mask the quality on offer with many at Kildorrery on Sunday the 23rd in for a treat if Mossey Joe is declared. One of only 8 entries at the Duhallow Foxhound meeting the 11 year old Moscow Society horse, recently purchased by Barry Connell and now in training in Co Limerick with Enda Bolger has to start his season somewhere! It is kind of funny that Mossey Joe cost £160,000 is now running for the princely sum of €1,000 sponsored by Liam McCarthy and Amber Oil. That said if he is to do justice to his Aintree Grand National entry and his allotted weight of 11st 1 lb he should win this even if he has to pull the horsebox behind him over the 3 mile course. It might be of interest to the older brigade amongst us but 7 of the 8 entries are 11 year olds or older, proving the point that age is never a barrier to competing once you have the legs for it. If Mossey Joe fails to appear or has a mishap, The Hollinwell , Sir Frederick or Lough Ferrib could be in a position to benefit. The weekend begins in Co Armagh at Farmacaffley with the Tynan and Armagh meeting with another Open sponsored by Armagh Construction Limited.This could be a really cracking race with David Christie’s The Last Derby, Colin McBratneys Carsonstown Boy and Davy From Milan from Eoin Doyles yard leading contenders. Doyles Davy From Milan also holds an entry the following day at Bennettsbridge so my guess is that he will run closer to home and bypass the trip to Co Armagh. But it remains a very interesting race non the less with Michael McConville’s Leggy Lad a possibility to upset everyone if he decides to race on the day. Ballylinch Stud sponsor the Open Lightweight at the Kilkenny Foxhound meeting in Bennettsbridge with the biggest entry of the “Open ” weekend here with 13 horses entered. As previously mentioned the Mooncoin based Eoin Doyle trained Davy From Milan has an entry here with the Milan 7 year old likely to be well supported by the locals. An Affane Open Lightweight winner last time out he looks like a horse to keep in mind here. Vincent Halley has been getting a nice tune out of the 10 year old Witness Box gelding Boxing Along this season and a second place in a Hunters Chase last time out at Thurles puts him right in the picture here. When you throw in another Co Waterford trained horse in the shape of Fort George the race looks full of promise. Henry De Bromhead’s 11 year old Kings Theatre gelding won over fences at Listowel in June 2013 and could be forward enough to take a hand here! The Mares have a race all of their own in Co Clare with the East Clare Hunt staging a Mares Open. With only 5 entries the Clare Refrigeration sponsored event sees nearly everyone in with a serious shout. Pops Well a 7 year old Dr Massini and the 6 year old Catcher In The Rye mare Phone Booth have recent form at Avondhu and Askeaton with slight preference for the 3 time winner Pops Well of that pair. Added to the mix is John Ryan’s Revoque mare Ballyadam Dancer who is potentially a very good recruit, but they will all have to get past Sheila Ahern on the 12 year old Isourbell. This dogged front runner may not act as well on heavier ground but she will be trying very hard and will test them all. Weather wise it looks like a good weekend and we should race at all venues. 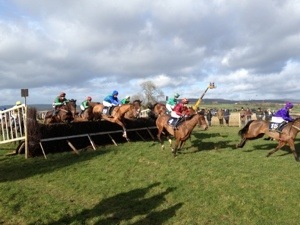 Stay tuned to p2p.ie for updates and going reports, enjoy your racing! Morozov should keep Pierce and his family busy at Blackhall. The life of a stallion master is not an easy one , with the fickleness of the flat breeding industry now seeping into the national hunt world. Gone seemingly are the days when a “country stallion” could stand for years , covering reasonably small books of local mares and siring a winner or two in his first few years before a Galway or a Fairyhouse winner made him a respected and sought after name in the racing industry. The emphasis is now on being ultra commercial, with the racing industry focussing on speed and precociousness even over jumps. Stallions rather than a horses pedigree and dam line are now the driving force as “fashionability” takes precedence sometimes over race ability. So this world can make it very difficult to stand a stallion successfully. Andy Pierce the Co Wexford based stallion man started breeding racehorses in 1983 when acquiring his first mare. Based in Blackhall, Enniscorthy he expanded his band of mares to in excess of 30 at times, while also moving into the tricky world of being a stallion master. 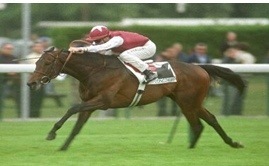 Rashar was the first one chosen and the unraced son of Alleged was very successful. Following on from this Pierce has had Corrouge , Vertical Speed and most recently Morozov. Morozov is a 15 year old son of Sadlers’s Wells, a Group 2 winner and a full brother to In The Wings making him a very bankable stallion. He has been at stud since 2005 with his best runners to date being Racing Post Chase winner Opening Batsman and other black type performers oncluding Eduard, Baby Jake and Marshall Zhukov. With a couple of these holding Cheltenham Festival entries next month further success might be on the cards. The stallion also has a couple of promising young horses with the Robert Tyner trained Sir Abbott a graduate from the point to point fields likely to build on his track debut for new owner JP McManus. While Willie Mullins has the Gigginstown House Stud owned Turnandgo in the yard another that might a name for himeslf. In addition Donald McCain has the promising Billfromthebar in his care to add to the possibilities. With 162 mares covered in 2013, Pierce is more than hopeful that the level of enquiries currently received will see this year being just as good. Morozov has covered half sisters to previous Cheltenham Gold Cup winner Mr Mulligan and classy hurdler Our Girl Salley in addition to many more , so his stock deserve a serious look at. Pierce and his two sons Paul and Andy junior are not ones to rest on their laurels as they also train 15 horses at the yard at Blackhall Stud. These are a mixture of track and point to point runners so they are a team of busy busy men. Morozov might just keep them even busier! With only three weeks to go to Cheltenham and its frantic four day festival last weekends action cast a little more light on the possible line up on those days. Dunguib for me was the heart warming win of the weekend with the 11 year old striding out to win the Grade 2 Boyne Hurdle at Navan. The son of Presenting’s return to winning form on the track is a testament to his trainer Philip Fentons ability. Well ridden by Brian O’Connell this performance was more than well received by most near everyone. With a possible tilt at a Coral Cup or County Hurdle suggested it might be best to maybe dampen expectations. These two races are nearly always ultra competitive races and with Dunguib likely to be handed a hefty burden in each I would be leaning towards, well neither in fact and instead look towards some graded races closer to home.Its just that his rivals on Sunday especially Zaidpour wouldnt be a good measure to judge a performance by at present. When you see that Fenton hadn’t given Dunguib an entry in either the Champion nor World Hurdles at first entry stage it might well question him being pitched into competitive handicaps at this stage of his life. Just a thought! Foxrock scrambled home in the Grade 2 Ten Up Chase for Ted Walsh , Danny Mullins and Barry Connell with the 6 year old Flemensfirth not helped by a very pedestrian pace. But he battled back and is in my view a much better horse than the bare result here. His Cheltenham objective must still be the RSA Chase or the old Sun Alliance Chase as it was known if he goes ,rather than the 4 mile National Hunt Chase as I feel he really is a horse for the future and 4 miles at Cheltenham as a 6 year old might not be a best option. Perhaps they wont travel at all and opt for the Power Gold Cup at Easter at Fairyhouse? The Cross Country race at the meeting should see the Henry De Bromhead trained Sizing Australia in the line up following a nice fifth place in the Opportunity Hurdle at Navan.This 2011 winner of the same race , now a 12 year old won over hurdles at Wexford in October 2013 and his handicap mark over fences is still intact, so I would pencil in him in as a possibility. Gowran Park on Saturday last might not have thrown up many possible festival runners with Un De Sceaux a Champion Hurdle possible all but being ruled out of running in that race the day after he won the Grade 2 Red Mills Hurdle by his trainer Willie Mullins. Many scribes have been talking up this horse over the past few months, and well placed by Mullins he has beaten little of real champion hurdle consequence to date to merit all the chatter. 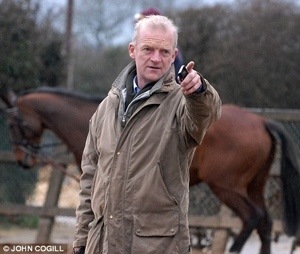 In all probability Mullins who is a master tactician at placing his horses may never have seriously intended running the horse at Chelteham 2014 and was reported as indicating that the horse didn’t need Cheltenham at this stage of his career! I think that WP will win plenty of races with this French bred son of Denham Red but not the Cheltenham Champion Hurdle this season! The Red Mills Chase saw Tom Taaffe trained Argocat surprise me and though he is a little mercurial the 10/1 winner is pretty handy and might just try his look at Prestbury Park. Well done again to Brian O’Connell on another fine Grade 2 win, just when will this fine jockey pick up a retainer from some of the bigger yards? Over the pond saw some very interesting activity none more so than on the all weather at Kempton on Sunday!! I know the All Weather on Sunday!!! Here Nicky Henderson ran Your Tent Or Mine in a 2 mile bumper with the the 7 year Desert Prince Champion Hurdle contender winning very comfortably. These bumpers for jumpers are primarily in place I would imagine because of the loss of racing over jumps due to the weather, so fair dues to Henderson on taking the opportunity to give his horse a race on better ground. 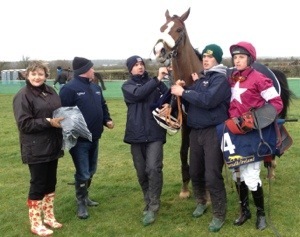 While Dawn Commander a winner at the same track for Pauline Robeson may not line up at the festival but this former Tinahely Point to Point winner for Jamie and William Codd shows just how versatile these point winners can be. Captain Chris and Melodic Randezvous won at Ascot and Wincanton and both of them will be aimed at the Festival with a Gold Cup and Champion Hurdle run on the menu. In the year thats in it both will deserve to take their chances in open renewals.